Need coverage for your towing company? 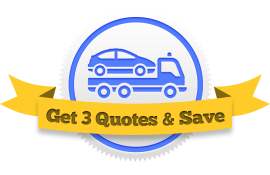 Don’t just get 1 quote, get 3! As a business-owner, it’s your responsibility to protect your towing company against unforeseen circumstances. Getting good towing insurance coverage is the best way to do that. This guide will teach you everything you need to know about commercial insurance. Unlike with personal automobile insurance companies, the best towing insurance companies aren’t household names. Most towing business owners don’t know where to look to get the best coverage. Your best route is to use a service, like the one offered on this website, that gets you in touch with multiple insurance agencies at once. The agents will each send you a policy coupled with a quote. From there you can choose the policy that works best for your business. Only you can figure out which insurance coverages your towing business requires. Below are the most common coverages—each has its own purpose and might be a smart investment for your company. And remember: talk it through with your agent—some of these coverages are legal requirements in many states. Towing Auto Liability Coverage that protects you when you’re at fault during an accident. It’s the law that every tow truck you own must have an auto liability policy attached. This coverage includes Property Damage (covers damage done to others’ property) and Bodily Injury (covers injuries). Garagekeepers Legal Liability Coverage that protects the vehicles held on your property after a tow. On-Hook Towing Insurance Coverage that protects any vehicle towed by one of your trucks while it’s hooked up. Physical Damage Insurance Coverage that protects your vehicles from accidental damage, i.e., this coverage pays for repairs after an accident. It includes Collision (covers damage during a collision on the road) and Comprehensive (covers things like fire, theft, and vandalism). Cargo Insurance Coverage that protects your cutomers’ possessions left in their vehicles. If a customer’s possession is lost, stolen, or damaged, this coverage kicks in. Medical Payments Insurance Coverage that pays for medical expenses if anyone, driver or passenger, is harmed while riding in one of your tow trucks. Workers’ Compensation Insurance Coverage that pays for medical expenses and lost wages for your employees if they’re hurt on the job. Legally required. Liability Umbrella Coverage that protects you even when an accident exceeds your existing policy limits. Don’t worry if you’re missing some of this information. Your agent will help walk you through any information you’re lacking. Have security cameras surveilling their property. Another fairly obvious way to save is to shop around. The more insurance companies you contact, the likiler you are to find the best deal.